With millions of dollars being poured into the ski area in the past few years, Mammoth is committed to providing world-class recreation to its visitors. The coming years promise to be exciting as more services and amenities are added to this California mountain community. With an annual average snowfall of 385" and seasons lasting on average 200 - 250 days, Mammoth offers more days on the hill than any resort in California. 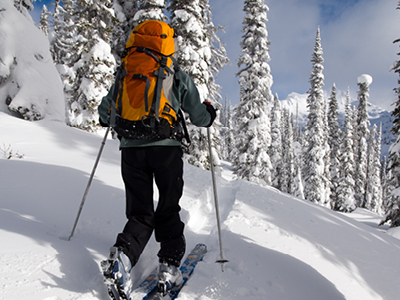 Over 100 miles of groomed and untracked trails are available for cross-country skiing and snowshoeing. The most popular area for Nordic skiing in the Mammoth Lakes area is Tamarack Cross Country Ski Center located in the spectacular Mammoth Lakes Basin. 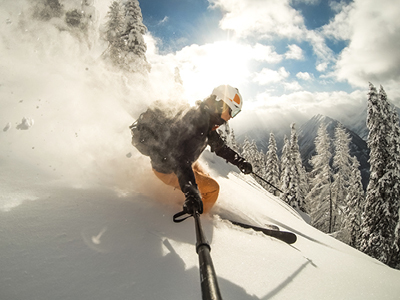 Tamarack offers 19 miles of groomed trails as well as lessons and equipment rentals. 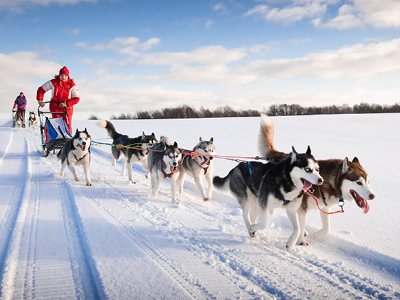 If you've never been on a dogsled, it's an adventure you won't want to miss. Visit Mammoth Dog Teams at www.mammothdogteams.com for the ride of your life! The Forest Service maintains 100 miles of scenic groomed snowmobile trails leading to thousands of acres of ungroomed snowmobile play areas. 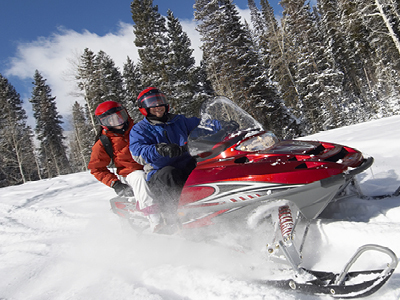 Create memories of a lifetime enjoying the back country sight-seeing opportunities on a snowmobile. DJ’s Snowmobile Adventures offers backcountry guided tours, self-guided tours and an affordable family ride program. For a list of all rides visit their website. To receive a $5 off per snowmobile discount on Midweek Bookings, use the PROMO CODE – “SNOWCREEK”.